Thought I'd share it here as well. 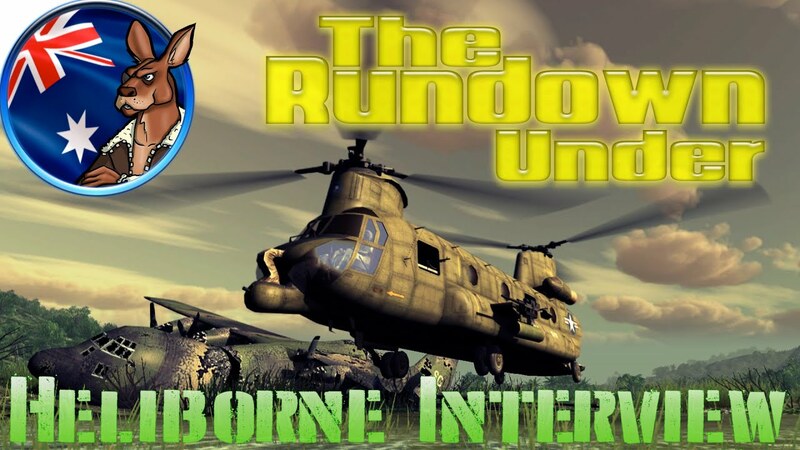 Nice insight on the current and future plans on Heliborne. Related To something they discussed in the video, I think I'd like having a spawn system where you get a certain amount of points to spend in helicopter upgrades at the start of the match. Perhaps good actions can earn you back some (but not all) points. Also, for premium heli's, just throw them out there for a couple dollars, they don't need any particular place. Last edited by Nixod321; 02-29-2016, 02:19 AM. thanks for posting this. great interview. Yes! I would love some sort of "Build your deck" like the one in the strategie game Wargaming RedDragon ect. There you have to chose what strengths to focus on. You cant have it all. Excellent interview Rayne, Thanks for posting. Looking forward to more good stuff. Watched the whole interview and I'm really, really impressed with what I heard. JetCat overall sounds like a competent development team who has a clear idea of what they are doing, and they sound like they will be wise in their decisions regarding the game. This being said, I beg of you, NO PREMIUM HELICOPTERS. Helicopters included as part of a DLC or an Expansion would be great, but PLEASE stay away from anything that resembles the trash bag that is Warthunder or World of Tanks. I've played both games extensively, and I am absolutely tired of seeing "Premium" anything. The game is pay to play, and that is one of the things that has drawn me to it, because it looked very fun and I had figured it would not be infected with everything that festers in games like Warthunder, World of Tanks, Ghost Recon: Phantoms, or any other of the million billion F2P (and occasionally Pay2Win) titles. If you guys can avoid anything resemble Premium Helicopters, Premium Accounts, or anything along that line, I would be immensely happy and I think your consumer base would as well. Perhaps I'm wrong, but I think a lot of what draws people to this game (aside from the premise and gameplay themes or elements) is that you are offering an almost Warthunder/World of Whatever style game with an emphasis on historic vehicles and military action WITHOUT it being a Free 2 Play game, with all of the flaws and frustrations that such a type of game brings to the table. Just my 2 Cents on the matter as a player currently held prisoner by Warthunder (It is pretty much the only game of it's type) and a veteran of World of Tanks, I want to see this incredibly fun game prosper over it's development cycle. As someone who subscribes to Magz_TV, when he says "premium" he means anything purchased outside of the main purchase of the game, which includes DLCs and Expansions. For example, he refers to the planes available in this manner in IL-2: Battle of Stalingrad as "premium" as well. To me it didn't sound like that, regardless, I stand by what I said either way. I would hate to see this game suffer from the same cancerous tendencies which plague Warthunder and to a lesser (but still prominant) extent World of Tanks. Hopefully JetCat does indeed stay away from these. I think Rayne (and I'm sure many JetCat members) having been or kaybe still being Warthunder players means they will avoid these.